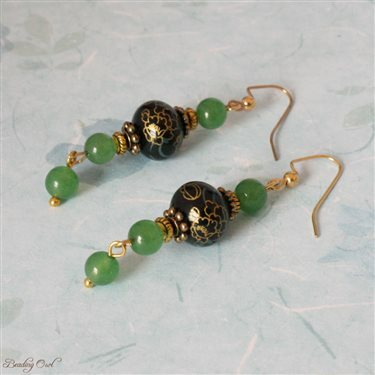 Handmade beaded Asian inspired earrings. You’ll fall in love with these beautiful crafted aventurine earrings. Crafted with gold-tone mixed metal and black lampwork bead. Aventurine is known as the stone of chance or luck. • Not suited for small children!